2 Chinese cargo spacecraft Tianzhou-1 completed its second docking with Tiangong-2 space lab on Monday, after flying around the space lab. China's cargo spacecraft completes second docking with space lab. Chinese cargo spacecraft Tianzhou-1 completed its second docking with Tiangong-2 space lab on Monday, after flying around the space lab. According to the China Manned Space Engineering Office, the experiments tested docking technology at different directions. Tianzhou-1 separated from Tiangong-2 on Monday morning and remained at distance of five kilometers behind the space lab for about 90 minutes. It was commanded to fly around Tiangong-2 from behind to a distance of five kilometers in front of the space lab. During the flight, both Tianzhou-1 and Tiangong-2 turned in a semicircle. 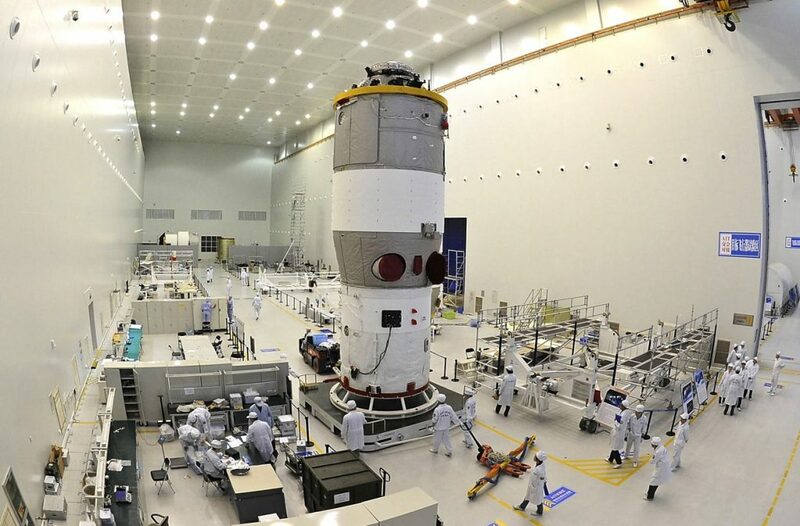 Tianzhou-1, China’s first cargo spacecraft, was launched on April 20 from south China’s Hainan Province, and it completed an automated docking with the orbiting Tiangong-2 space lab on April 22. China is the third country, after Russia and the United States, to master refueling techniques in space, which is crucial in the building of a permanent space station.